Do you need to hire new staff and need to make a new Employment Agreement? Download our Employment Agreement template now! A formal employment agreement specifies the conditions of the relationship between an employee and an employer including compensation and expectations. Also referred to as employment contracts, they are often executed for a specified period of time, such as one year. This trustworthy employment agreement template is crafted and screened by legal professionals. The 3 step process virtually guarantees you can finish and print your legal document in minutes! 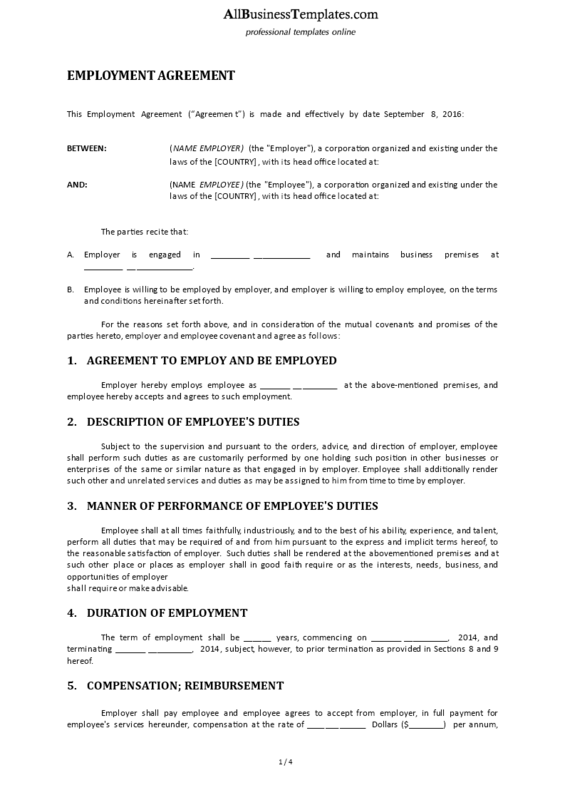 Download this Employment Agreement template, fill in the blanks, print ...done!